Can Iran's president-elect bring about change? Iran's Supreme Leader Ayatollah Ali Khamenei, left, speaks during a meeting with President-elect Hassan Rowhani in Tehran, Iran. 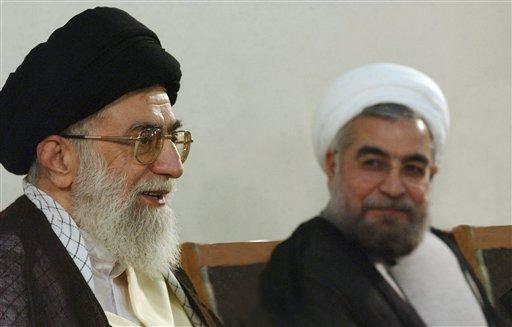 The outcome of Iran’s presidential election last Friday is generally regarded as a surprise. Of the half-dozen candidates, Hassan Rowhani was the least conservative. In the final days of campaigning, he got strong backing from the leading reformists and won more than 52 percent of the vote, and avoided an expected runoff. Now, the focus is on forward-looking questions that are even more difficult to predict. Will it be possible for Rowhani to introduce substantive reforms, or will he be under strong constraints from the Supreme Leader Ali Khamenei? Will Iran’s foreign policy change? To find out, Global Journalist spoke to two experts who have written extensively about Iran.